CNC or Computer Numerical Control technology has been around for over half a century. After the Second World War the aerospace industry began using CNC machines to manufacture aircraft parts. The size and expense of computers in those days however, was a limiting factor. Compared to the computers of today, computers in the 40’s were enormous. CNC technology really came into its own slightly later in the century. In 1968 John Parsons was awarded the Joseph Marie Jacquard memorial for creating some of the first computer operated machines. John is known as the godfather of CNC for his work on reliable servo controls in his APT(automatic programmed tool) programming language, created in 1958. The modern manufacturing industry would not be what it is without this breakthrough. As machine parts became more complex, big industry began to rely more and more on the versatile and efficient CNC machines. These days you can CNC machines are not just for the giant companies, they are used in all kinds of ways, from desktop sized CNC machines used for engraving, to giant machines like the EEW Maschinenbau in Germany. This monster of CNC technology can carve a life sized house out of a single piece of material. CNC machines come in all shapes and sizes, the basic format consists of three axels, giving you an x y and z dimensionality. These “three-axel” CNC machines can carve depth width and length in any complex design or pattern you can think of. The business end of the CNC machine is its high powered lathe, the complex system of servomechanisms position the lathe on the surface of the material in accordance with the blueprint for the design. The lathe spins, chiseling out channels and grooves in the material, leaving only the shape the designer envisioned. You can have up to five axels on a CNC machine, allowing you to carve out even the most complex parts. CNC machines use a blueprint technology called CAD (Computer Aided Design). You can take any CAD file and run it through a CNC machine to carve out a fully realized 3D structure. The possibilities for hobbyists and small business to utilize CNC technology have never been greater than now. Machining technology can allow a small automotive workshop to create their own engine parts, engrave security details, and pretty much anything in between. The UTV industry has benefited greatly in last few decades from the legacy of John Parsons. Due to the customizable nature of utility task vehicles, CNC machines provide the number one solution to creating customized parts. UTV’s test the strength and flexibility of their design on a day to day basis, as they are predominantly used as off road vehicles. Maintenance and improvement of UTV’s is an important part of the industry. Having the capacity to create customized parts, in-house, is a huge benefit. As the UTV industry grows, and more people rely on the dependency and durability of UTV’s for farm work, recreation and sport. The need for high quality customized parts has increased. Looking back over the past decades, when all that was offered was an off the shelf solution, or an expensive hand tooled piece, it is easy to see the benefits that CNC technology has had on the UTV industry. These days we can provide a customized solution, manufactured in-house at a fraction of the price it used to be. CNC machining is a marvel of modern manufacturing technology and will continue be the backbone of the engineering industry well into the future. Update* Can Am was a little late with the video, but the X3 has been revealed. BRP / Can Am has released the newest video of the soon to be revealed Maverick X3 and we have to say it is definitely keeping us intriguged. The shocks look pretty great, but in typical Can Am style they do not reveal the whole picture, they leave us wanting more. Take a look at their video here at tell us what you think. 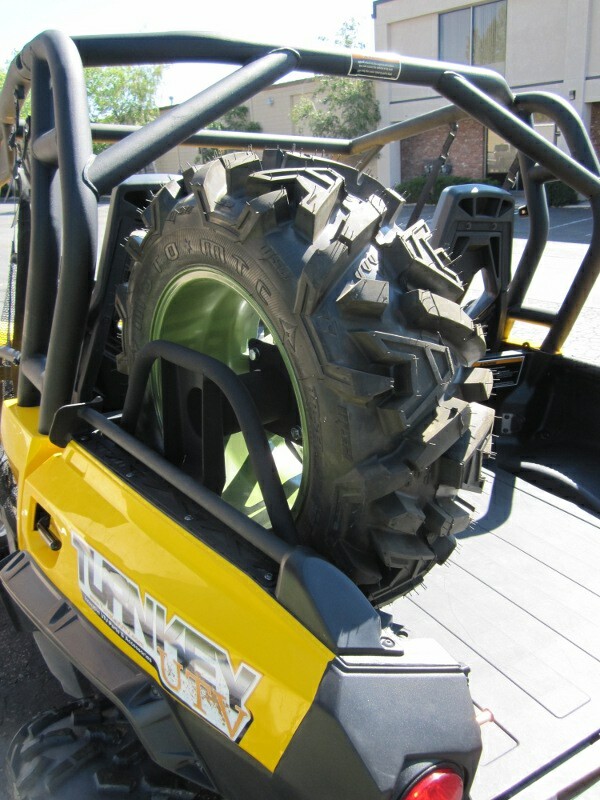 3 Best Turnkey UTV Accessories for Summer. For most Can Am owners, summertime is great time to get out and take your Commander or Maverick for a ride. Of course certain geographical locations may not be ideal in the summer, looking at you our friends in the desert, but for most, long days make for great times and great stories. Here is our list our three favorite Turnkey UTV accessories for the greatest season of the year. This one should seem pretty obvious; Roofs are one of the best accessories for your Can Am for a reason. Not only do they protect you from the rain and the snow but they protect you from the beating sun as well . In fact for many of our customers wet weather is not really an issue, but sweltering sun rays can be very uncomfortable if not dangerous. This time of year when our days are long and so are our rides it is important to make sure you have the proper coverage and our Aluminum Sport Roofs for the Maverick and the Commander are the best way to protect yourself from prolonged sun exposure. This one may not seem as obvious, but picture this; you are 30 miles from camp and you suddenly pop a tire and run a flat. You didn’t bring a spare tire and you don’t have a Turnkey Aluminum Sport Roof (shame on you) and now you have to limp back to camp as a heat wave is coming in. You are creeping along hoping not to damage a rim but you want to get out of the sweltering sun as fast as you can. You are cursing even coming out to ride. Meanwhile, your buddies are having a great weekend continuing their ride. Just think, this could have all been avoided if you would have brought a spare tire, and they best way to mount that spare tire is with our bed mount spare tire carrier. This carrier mounts to the side of the bed so the spare tire is out of the way, not obstructing your view and leaving plenty of the cargo bed left for storage. This way you can still pack a cooler of cold beverages, and this time you can share them with your friends instead of having to quit early. Available for both the Maverick and Commander our quarter doors are another great accessory for the summer time. A half door isn’t always the answer for Can Am owners, some people feel like putting doors on your Can Am makes it feel a little constricted. Some like the idea of an openness to the cab with air flowing freely through. In summertime airflow can be particularly important. However, you don’t have to sacrifice protection for airflow. 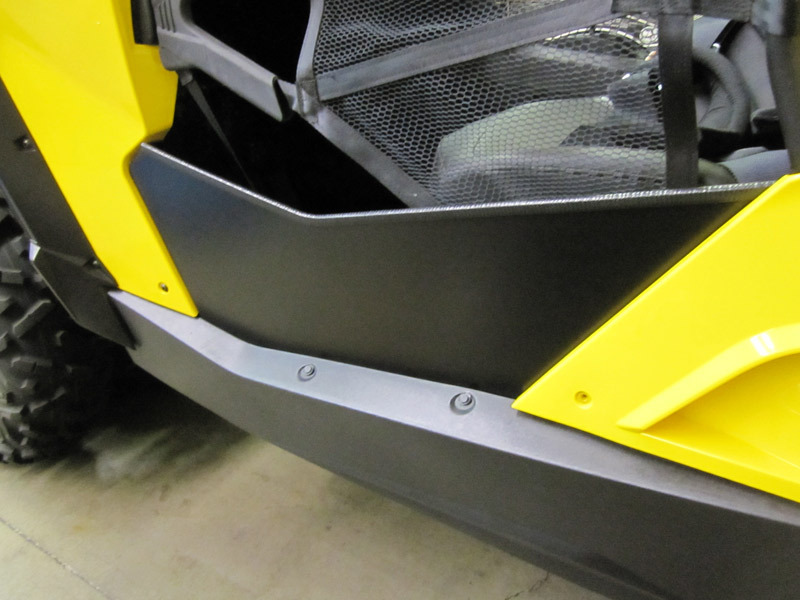 Turnkey UTV quarter doors bridge the gap between our Sport Doors and an open cab. These quarter doors offer protection from kicked up rocks and debris without stifling airflow. Only rising half the height of our sport doors the quarter doors still maintain a feeling of an open cab while protecting your legs from incoming projectiles kicked up from your machine. After nearly a year on hiatus, Turnkey UTV is once again back in business. Founded in Northern Nevada in 2009, Turnkey UTV began with the idea of creating high quality side by side accessories, at a great value, made in the USA. 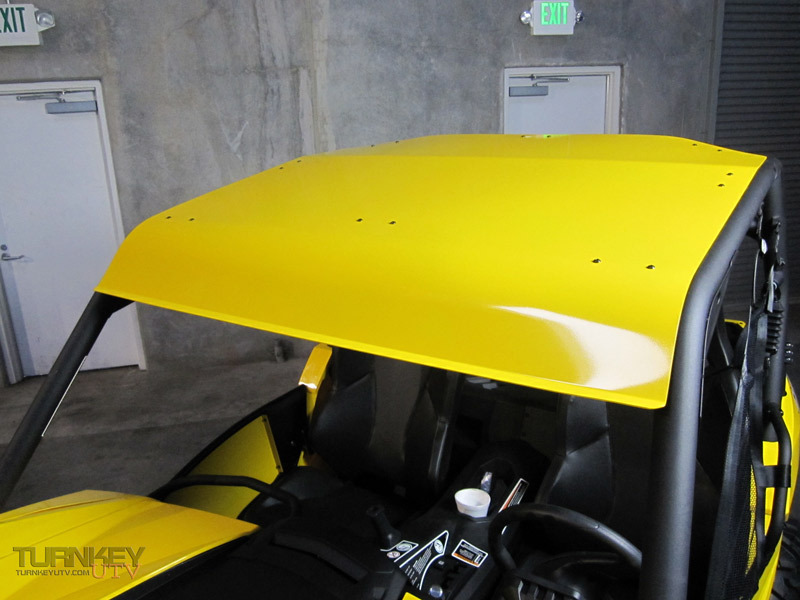 Initially targeting the entire side by side market, Turnkey eventually shifted its focus and narrowed in on Can Am accessories. Turnkey UTV quickly established its name in the BRP community with practical and stylish Can Am Commander and Can Am Maverick accessories. The new owners were quick to point out that even though the ownership and location may have changed, the core beliefs that established the Turnkey UTV name have not, reiterating that the same caliber of designs, materials and processes will continue to be used to ensure a high-quality Turnkey UTV product.